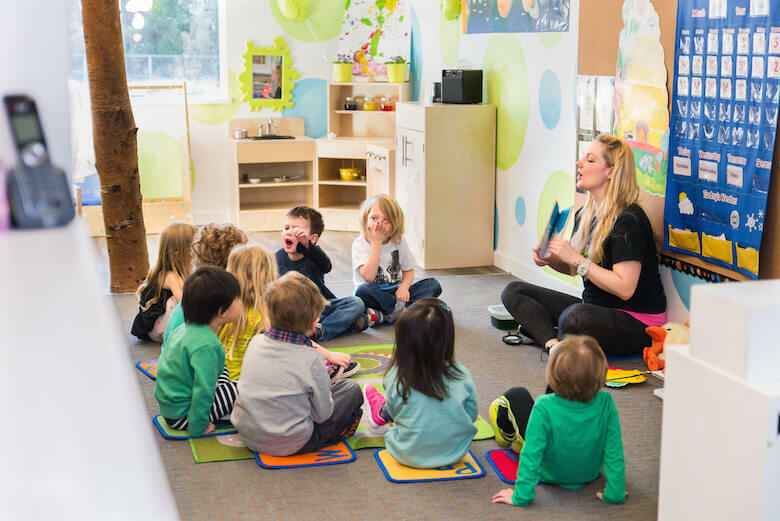 When running a daycare or preschool, it’s easy to get ‘lost’ in the day-to-day operations of teaching and caring for children – not to mention ensuring they have fun in a safe environment! Parents too, may find that caring for children and providing for their best interests can get overshadowed by the ‘busy-ness’ of life. It’s not that anyone in these positions is being neglectful, and it’s certainly not that anyone doesn’t care. It can simply be a matter of needing an outside perspective, to learn how to improve existing methods and systems for a child’s best interest. That’s where an early childhood educational consultant comes in, to help teachers and parents alike with these matters. In this article, we’ll explain just some of the ways an early childhood educational consultant can benefit children in your care. Since educational consultants are usually hired as outside experts to come into a home or organization, their exposure to the ‘world’ of education is much broader in scope. They are likely more aware of what has worked, or not worked, as a whole in the industry. They may also have collected data, and done reports of their time ‘in the field.’ And certainly, they’re more likely to have encountered any problems their hirers are experiencing before. This can make them more equipped to provide solutions and answers. Education today is not what it was a decade ago, or even two or three decades ago. That includes early childhood education. Education evolves, just like language or technology does. It has to respond to current societal and economic expectations. And, it has to keep up with the latest in scientific research and even observational theories (like the newer, theory of multiple intelligences). So, an early childhood educational consultant can come into a daycare or preschool, or even the home of concerned parents, and give modern advice on the latest trends and advancements in their field. As they say, ‘knowledge is power’! When we’ve been doing something the same way for years, it’s easy to take the stance that, ‘if it ain’t broke, don’t fix it.’ However, it could just be that our awareness of what’s actually broken, is lacking. But, being your own self-critic can be hard. It can also be that we don’t know where to look for points of improvement. Early childhood educational consultants will usually have a method or process in place for discovering what their clients’ need. Not all parent and family situations are alike, and not all daycares or preschools are alike. Moreover, the children that are the focus of these types of assessments are also not all alike. For example, let’s say there is a special needs child in a daycare or family home. In this example scenario, let’s also say that most of their peers do not have disabilities. How can the child with special needs be accommodated in a way that lets them thrive, but doesn’t hinder others? Is it as simple as modifying the curriculum just a little bit for that one child? Or is more intervention needed? Is the daycare a good choice for them? Or would they be better off with another program, or more individualized attention? What about the parents involved in a child care situation? Are they being heard when it comes to what their child’s needs are? And then there is the staff that works in the daycare, the nanny, the step-parents or family members taking care of the young child… are these voices being taken into account when it comes to curriculum, schedule planning, activity choices or social interactions? Do they need to be? In truth, educational needs at all ages can be dynamic. There is no ‘one size fits all’ approach. Even the neighbourhood demographics, local laws, fiscal budgets or culture can affect educational needs, not to mention the feasible options available to meet them. So it’s not as easy as reading an advice article online, or even reading an entire book about educational consulting. Sometimes, it’s the experience and research findings of the consultant that makes a difference in your unique situation. In addition to identifying needs within an organization, community or family, educational consultants also help when it comes to implementing new plans. These plans are usually based on solving issues that are brought up in the needs analysis. Developing new curriculum content, schedules or changes to fill gaps, modernize or adapt to classroom needs. Training, professional development or coaching for educators, caregivers and parents. Directing and managing changes to daycare space design or other facilities to ensure compliance with laws and up-to-date standards. Formulating mission statements, directives, and policies in an organization. Reorganizing structures of leadership to be more inclusive, or more directive where needed. Finding opportunities for community engagement. Suggest and recommend resources or tools to use in the classroom or home, for enhanced educational standards. Implementing policies and action steps to reach the goals of the preschool or family. And so on. In essence, they deal with both the ‘macro’ and ‘micro’ aspects of a holistic educational program. Sometimes, educational consultants also come with specialties in certain areas of teaching. They can be attractive for hire in these cases, when an organization is looking to develop a particular area of their educational programming. For example, this educational consultant has written material and done research on how imagination can be used in learning. Educational consultants are not all alike; you may need more than one! In conclusion, we’ll say that educational consultants can differ in their experience and specialties. A lot of the time, when you look for educational consultants, they can seem more focused on helping older students find the right college or school to attend. They can also work with organizations as their primary clientele. If you are looking for an educational consultant that specializes in early childhood matters, you’ll need to find one with appropriate experience and training. Sometimes, could even mean hiring someone with experience, but who doesn’t work as an educational consultant full time. Other times, licensing and proper training may be required by the consultant. It can all depend on your case, and the jurisdictional laws in your area. 3 things to know before starting a career as childcare worker in Metro Vancouver, B.C.